When assets are distributed to Beneficiaries “absolutely”, (i.e. 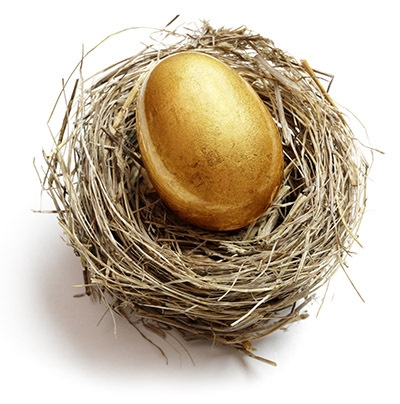 they receive cash, property or other assets as a direct inheritance) so much can be lost. These assets are then considered to be part of the Beneficiary’s Estate and consequently are at risk of attack from any future divorce settlements, creditors and taxation. With the strategic use of Trusts, Frog Wealth Management can ensure that your children and grandchildren, are able to benefit completely from the inheritance you want them to receive and at the same time, protect the family home, investment property and other assets from being lost to the costs of Long Term Care. Have you considered what might happen if your surviving spouse were to remarry? How would this affect your own children if he/she later changed their Will in favour of the new spouse and any subsequent children? Or for those of you who already have children from a previous marriage, how do you ensure that they would get their fair share? What if your children are very young or have special needs? How can you ensure that they are fully provided for? There may also be a business you have worked hard to build up. Surely you would want to protect this for your family too? Do you really want to leave it all to chance, when with our professional help to set up the correct type of planning, all these problems would be solved? Understand more about the considerations needed in preparing effective Asset Protection. You should choose an Executor to carry out your wishes, and these appointments are stated in your Will. Executors can be Beneficiaries under the Will and often people appoint their spouse, civil partner or children as Executors. Check with your proposed Executors that they are willing to take on this role before naming them in your Will, as it can involve considerable responsibility. Please see our Making a Will page for a comprehensive understanding of the considerations of appointing and Executor, including using a Professional Executor. Please see our Making a Will page for a comprehensive understanding of the considerations of appointing Guardians.